Large 40' Long x 60" Diamater Roll Size Capacities. 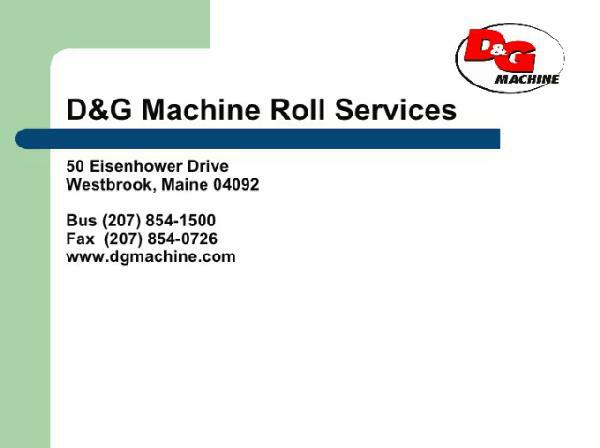 The only single source repair center located in Maine for all your Mechanical Roll needs. One stop service results in lower overall repair cost. 24 Hour / 7 Day per Week - 30+ Yr. Experienced Staff On Call as Needed. Click to download [1.7MB] the presentation document or watch the video slideshow below.